In scorching summer or freezing winter, Stockholm casts a spell on visitors. The Swedish capital is home to 870,000 citizens, of whom 92pc said in a recent survey they were happy with their lives. Stroll the historic cobble-stoned streets of the Old Town (Gamla Stan), go island-hopping in the archipelago, eat and drink in the city’s fabulous and friendly restaurants and bars and it’s easy to see why everyone is so content. Stockholm is also home to the Vasa Museum — my favourite man-made visitor attraction in the world — where you can learn the remarkable story of Sweden’s Titanic. The great Swedish warship Vasa, which was launched in Stockholm on August 10, 1628, had a brief — a very brief — but eventful maiden voyage. It had gone only 1,300 metres after setting sail when a gust of wind caused the top-heavy vessel to tip over. As tens of thousands of citizens and dignitaries lining the harbour looked on in horrified disbelief, water gushed in through the lee side gun ports, and within an hour of casting off Vasa was 32 metres beneath the Baltic Sea. So too were 50 members of the 100-strong crew. Among those who drowned, but wasn’t much mourned, was the flog master who, when he wasn’t splicing mainbraces and what have you, was slicing the backs of his errant shipmates with the cat o’ nine tails. The ship’s real cat — a rat-catching champ but a bit of a chump when it came to swimming — perished too, using up all of its nine lives in one soggy go. When Vasa was salvaged 333 years later, the cat’s bones and those of 25 crewmen were found among the mud, sludge and debris. Thanks to the brackish water and the absence of the teredo worm which can’t survive in the Baltic because of the low salinity but turns up frequently in crosswords, Vasa’s timbers remained well-preserved for more than three centuries. But what would happen when the ship, which sat upright and mostly intact on the seabed, was brought up and exposed to the air that had filled its sails and sent it to a watery grave all those years before? Would it collapse like a souffle? Would it crumble to the touch? Would the whole thing turn to jelly (which could then have been marketed as Vasaline)? These were some of the possible nightmare scenarios that haunted 38-year-old marine technician and amateur naval archaeologist Anders Franzen (1918-1993). He was the man who located Vasa off the island of Beckholmen on August 25, 1956, after several years of trawling the archives and dragging and sounding the harbour. “My booty had consisted mainly of rusty iron cookers, ladies’ bicycles, Christmas trees and dead cats,” said Franzen, recounting his frustrating and mostly fruitless search which, unusually, failed to turn up any shopping trolleys. But then, on that fateful summer afternoon, he struck gold. Or rather, oak. You could say his ship had come in. A couple of days later, Franzen’s friend and fellow Vasa enthusiast, the diver Per Edvin Falting, donned his cumbersome canvas suit, big brass helmet and lead-soled boots and went down to have a look. Reporting back to Franzen on the surface via a crackling intercom, he said: “I can’t see anything, it’s pitch black here.” To which I would have responded: “Then turn your torch on, you fool!” But Franzen, a man of infinite patience, simply nodded and stood by. A few minutes later, Falting was back on the blower with the earth-shattering news. “I can feel something big . . . the side of a ship,” he said. “Here’s one gun port . . . and here’s another. There are two rows. It must be the Vasa.” Typical of the imperturbable Swedes, there wasn’t an exclamation mark in sight. Franzen was no ordinary private person — he was Sweden’s foremost expert on 16th and 17th century naval warfare. And Vasa was no ordinary warship — it was King Gustavus II’s pride and joy. A behemoth of a boat, it was meant to intimidate the king’s enemies, especially Poland, with whom Sweden was at war over control of the Baltic. But it never got the chance. It was also meant to impress the populace, which it certainly did, though not as planned, and then for only an hour. Since April 24, 1961, when the wreck broke the surface — and didn’t break apart — Vasa has impressed 32 million people, initially in a temporary museum at Wasavarvet and, from 1990, in the custom-built Vasa Museum at Galarvarvet, which is only a couple of hundred metres from where the ship was built and where it sank. Every time I’m in Stockholm (I usually stay in Gamla Stan), I jump on the ferry to Galarvarvet and spend a couple of hours wandering around in the Vasa Museum (www.vasamuseet.se), which is one of the world’s foremost man-made visitor attractions. The ship hasn’t changed a bit and it hasn’t moved an inch since I first clapped eyes on it, so there’s nothing new to see, but there’s something about it that keeps drawing me back. I guess it’s the story. Vasa was the biggest, most expensive and most fabulously ornate wooden warship ever built, at a cost of 53,000 Swedish daler. I can’t convert 53,000 daler into modern money, but looking at comparisons, a cow cost five daler in 1628 and a miner’s pay was six daler a month, so Vasa cost the equivalent of 10,600 cows or hiring a miner for 8,833 months, or 736 years, including tea and toilet breaks. Vasa is Sweden’s Titanic: it was, like the equally ill-fated Belfast-built liner, the greatest and most spectacular vessel of its time and a phenomenal feat of engineering; it was a source of enormous look-what-we-can-do national pride; it was lost in disastrous circumstances and became a national embarrassment (Vasa was seldom if ever mentioned in Swedish histories until those three paragraphs appeared in Expressen, and Belfast people for decades shrugged off the loss of Titanic by saying “it was all right when it left here”); and now, thanks to the Vasa Museum, Gustavus’s dreamboat is the centrepiece of a world-class visitor attraction, as is the case with Titanic Belfast. Oh, and both vessels are available to build as Airfix models. That’s what you call sink-ronicity. What’s left of the great White Star liner that was lost in April 1912 lies rotting away at the bottom of the North Atlantic, but 95 per cent of Vasa was recovered, preserved and put back together. Viewing it from all angles, you’d think that if it were relaunched and rigged it could resume the voyage that was so surprisingly cut short. But you’d be wrong. From the moment Vasa cast off, it was a catastrophe waiting to happen — and it would be a catastrophe again. Vasa broke every rule of seaworthiness (and physics), and that was no one’s fault but the king’s, for it was he who insisted that an extra gun deck be added. It was an act of supreme folly, like trying to balance a car battery on top of a house of cards. But who was going to argue with the monarch? The shipwrights reluctantly followed Gustavus’s recipe for disaster to the letter, knowing — but fearing to say anything to the contrary — that every nail they hammered was likely to be a nail in someone’s coffin. As Vasa neared completion, Admiral Klas Fleming oversaw a stability test at the quayside. Thirty men ran back and forward across the deck three times and had to stop, otherwise the ship, which was rolling dangerously, would have capsized. Yet Fleming allowed construction to proceed. Like the shipwrights, he knew Vasa was fatally flawed, but for fear of incurring the royal wrath he said nothing. The ship’s fate — and that of many on board — was sealed. The Vasa wreck — 1,080 tonnes of saturated oak — was sealed in the temporary museum where preservation work on a scale never before attempted was begun to prevent the wood shrinking and splitting. A pioneering process of spraying with polyethylene glycol (PEG) — a penetrative waxy substance more commonly used in lipstick — continued around-the-clock for two years until every drop of water had been displaced. Basically, what visitors to the Vasa Museum are looking at is an awful lot of bone-dry wood coated with wax — enough to make millions of boxes of matches. It’s a striking thought, but not one that would have crossed the mind of pipe-smoking Anders Franzen as he stood beside King Carl Gustaf on June 15, 1990, and gazed on the magnificent vessel that was recovered thanks to his dedication and dogged determination. Gustavus II was in Prussia when the ship was launched and quickly sank, but Carl Gustaf was in Stockholm 362 years later to officiate at the Vasa Museum’s inauguration. It was, much to Franzen’s relief, a traditional ribbon-cutting ceremony (he said later he had feared the king would smash a bottle of bubbly over Vasa’s bow). It took five years of underwater excavations and preparation to attach the thick steel cables beneath Vasa’s hull that would eventually support it as it was raised slowly and in stages. Various crackpot ideas had been put forward as to how best it could be lifted from the seabed, but the craziest suggested pumping out all the water and filling the wreck with ping pong balls that would make it float to the surface, much like holding a rubber duck under the water in a bath and then letting go. Seeing the ship shooting out of the Baltic like a missile fired from a submarine would have been almost as spectacular as watching it sink, but I’ll content myself with seeing it sitting serenely at rest in the Vasa Museum — its fabulous holm Swede holm. Frequent Arlanda Express trains (www.arlandaexpress.com) connect Arlanda Airport with Stockholm Central Station (20-minute journey). Express coaches connect Arlanda with the Cityterminalen and leave every 10 to 15 minutes (www.flygbussarna.se). Or travel in a six- or eight-seater mini-cab with other passengers and share the fare, with hotel drop-offs and pick-ups (www.supershuttle.se). The standard taxi fare (you can pay by credit card) between Arlanda and the city centre should be around SEK 500/€60. Hotel Rica Gamla Stan, Lilla Nygatan 25, Gamla Stan. I’ve stayed in several great hotels in the Old Town, but this one, very close to Gamla Stan subway station, is my favourite. No in-house bar, but there’s that all-important free wifi which every hotel should offer its guests. Double rooms cost from SEK 1,600/€188 per night including breakfast for two people (www.rica.se). Hotel Victory, Lilla Nygatan 5, Gamla Stan. More a museum with guest rooms than a hotel. Founder and owner Gunnar Bengtsson has for decades been collecting maritime memorabilia, especially items connected with Admiral Lord Nelson, and everything’s on display here. If you want fascinating history and first-class hospitality under one roof, you’re on to a winner with the Victory. Free wifi. Double/twin rooms from SEK 1,690/€200 (www.thecollectorshotels.se). Scandic Malmen, Gotgatan 49-51, Sodermalm. Slap bang in the middle of Stockholm’s trendiest district, the Malmen is one of the city’s trendiest hotels, with a brilliant restaurant, cocktail bar and nightclub. If the Rica Gamla Stan is full, this is my automatic second choice. Free wifi. Double/twin rooms from SEK 1,350/€160 (www.scandichotels.com). Radisson Blu Royal Viking Hotel, Vasagatan 1, next to Central Station. Free wifi. Double/twin rooms from SEK 1,170/€138.50 (www.radissonblu.com). B.A.R., Blasieholmsgatan 4A, behind Grand Hotel. No restaurant in Stockholm loses as many menus as this one — customers keep ‘accidentally’ walking out with them under their coats. While such pilfering can’t be condoned, it’s understandable — anyone who has dinner in B.A.R. wants to show their friends back home what they’ve missed. If any restaurant in the world is going to convert vegetarians, it’s this one. Choose from meat, fish and shellfish specialities (select your own lobster from the tank), ask for a bib and get tucked in. My favourite restaurant in all of Scandinavia, it’s a wee bit pricey but worth every penny, so make dinner in B.A.R. your big final night splash-out experience (www.restaurangbar.se). Kvarnen, Tjarhovsgatan 4, Sodermalm. Busy restaurant by day, laid-back bar by night. Kvarnen’s name will be familiar to Stieg Larsson fans — it’s mentioned in the Millennium books as one of the hangouts of Lisbeth ‘Girl With The Dragon Tattoo’ Salander and investigative journalist Mikael Blomkvist. They have excellent taste. 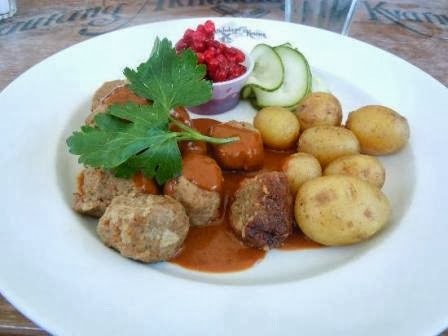 Kvarnen is full of character and characters, and THE place to go for a lunch of Swedish meatballs (www.kvarnen.com). Nytorget Urban Deli, Nytorget 4, Sodermalm. Every city should have a place like this. NUD, as it’s known to the locals, is a mix of grocery store, food hall and restaurant/bar where you can buy everything you need for a picnic or sit and enjoy a wine or a coffee while tucking into a freshly-prepared sandwich, salad or pastry. Located in the heart of Sodermalm’s ultra-cool SOFO district, NUD is something of a tourist attraction in itself (www.urbandeli.org). Herman’s, Fjallgatan 23B, Sodermalm. International vegetarian buffet with a big veranda (heated in winter) offering views over Gamla Stan that are as tasty as the food. Superb organic dishes and the chance to photograph spectacular sunsets over the Old Town. A message on the website expresses the wish that customers might “walk in peas”. I’m guessing they mean “peace”, though it might be a veggie in-joke (www.hermans.se). Wirstroms, Stora Nygatan 13, Gamla Stan. Managed by Dubliner Ian ‘Everton’ Taylor. Hosts live music and quiz nights, serves great snacks (the best Irish stew in town) and shows all the big sports events on TV. It’s also the headquarters of the Stockholm branch of the Oxford United Supporters Club, who’s a very nice guy (www.wirstromspub.se). The Liffey, Stora Nygatan 40-42, Gamla Stan. Live music and quiz nights, extensive menu, friendly, chatty staff and customers and loads of ales on draught. This is a great place for solo visitors looking for a bit of company. Easy to find and difficult to leave (www.theliffey.se). Stampen, Stora Nygatan 5, Gamla Stan. Live music venue and pub that opened in 1968 in what had been for decades a pawn shop. Instead of gutting the place, owner and jazz enthusiast Sten Holmqvist simply hung the unredeemed merchandise from the ceiling or on the walls and opened for business. There’s live music every night from Monday to Saturday from 8pm and a Saturday blues jam from 2 to 6pm. All tastes catered for, from jazz through trad, swing, blues, rhythm ’n’ blues, rock ’n’ roll and rockabilly (www.stampen.se). The Ice Bar, Vasaplan 4 (entrance in lobby of Nordic Sea Hotel, close to Central Station). Not only the coolest bar in Stockholm, it’s the coldest at a constant minus 5C, with all the furniture and fittings, even down to the glasses, made of ice from the Torne river in Swedish Lapland. Vodka and other spirits are the drinks of choice here (mainly because they don’t freeze) with mango and other fruit juice mixers. Pop in, pull on an insulated hooded cape and gloves and have a quick cocktail. Actually, a quick cocktail is all you’ll have time for as visits are limited to 40 minutes — any longer and you’d be courting pneumonia. Great fun, and perfect for quirky photos. Book your session online for SEK 180, or just turn up and pay SEK 195, which includes a cocktail of your choice from the menu (www.nordicseahotel.se). Kungliga Slottet (Royal Palace): The official residence of King Carl Gustav, though his actual residence is Drottningholm Palace, which is accessible by boat during the summer. The 18th century Royal Palace, built in the Italian baroque style on the site of the old Three Crowns Castle which burned down in 1697, is in Gamla Stan and is one of the world’s biggest inhabited palaces, with more than 600 rooms. The daily changing of the guard, sometimes on horseback, is well worth seeing (www.royalcourt.se). Stadshuset (City Hall): This is where every December 10 the Nobel Banquet is held. It’s a glittering occasion in equally glittering surroundings — the Golden Hall is adorned with 18.5 million gold mosaic pieces and is a magnificent must-see. Inaugurated on Midsummer’s Eve 1923, this red brick, super-sized Italian Renaissance palace by the water is one of Stockholm’s most popular visitor attractions (there are fabulous views from the 110-metre tower, summer only). It’s also the city’s administrative centre, with hundreds of people working there, so tours (guided only) can sometimes be cancelled at short notice because of events inside, though that’s a rare occurrence. Individuals can turn up and join one of the regular tours, but groups of more than 10 should book in advance (www.stockholm.se/stadshuset). Fotografiska: If it was captured on film or digital, it’s on show here. Fotografiska (Stadsgardshammer 22) hosts four large and 20 smaller exhibitions of international contemporary photography each year and is my next favourite Stockholm attraction after the Vasa Museum. There’s a great restaurant that has helped turn Fotografiska into a popular meeting place, and the bar on the top floor is one of the city’s best viewing points. Open until 9pm, so there’s no excuse to miss it (www.fotografiska.eu). Skansen Open-Air Museum: A 10-minute walk from the Vasa Museum allows you to step back through five centuries of Swedish history in the world’s oldest open-air museum, founded in 1891 and staffed by characters in period dress. Skansen has more than 150 historical dwellings, farm buildings, shops and workshops brought from all over Sweden and reconstructed amid beautiful gardens and woodland. There’s also a zoo that’s home to wild Nordic animals including wolves, lynx, elks, moose, bears and seals; several great restaurants and plenty of snack outlets; plus souvenir shops selling Swedish handicrafts. December is a great time to visit Skansen when the weekend Christmas markets are in full swing (www.skansen.se). 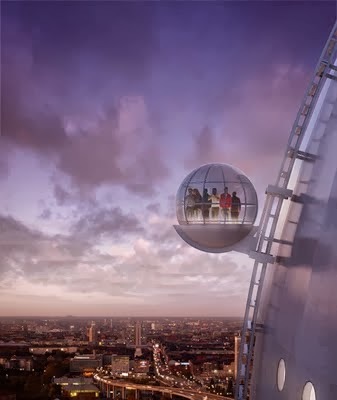 Skyview: Visitors can travel up the outside of the world’s biggest spherical building, the Ericsson Globe, in 16-person glass gondolas to the top (130 metres/425 feet above sea level). As you might imagine, the views over the city from up there are something special (www.globearenas.se/skyview). Ostermalmshallen (Ostermalms Food Hall): Stockholm’s buzzing food market, in a building dating from 1888, is a sensory delight, a great place for simply strolling around taking in the sights and sounds and smells. If you want to snap photos full of colour, this is the place to go. It’s open at lunchtime and in the afternoons, and there are plenty of restaurants and cafes serving traditional Swedish fare where you can indulge in some people watching (www.ostermalmshallen.se and www.saluhallen.com). Nationalmuseum (National Museum of Fine Arts): You could easily spend all day in here admiring and marvelling at the permanent exhibition of 20th and 21st century design. There’s everything from pop art and post-modern furnishings to everyday household and industrial items, all displaying the simplicity and functional beauty that are the trademarks of Swedish craftsmanship. The wider collection of paintings, drawings, sculptures and graphic arts includes works by Hanna Pauli, Carl Larsson, Anders Zorn, Renior, Rubens, Rembrandt, Goya, Degas and Gauguin. It’s fabulous. (www.nationalmuseum.se). Nobel Museum: Located in the old Stock Exchange in Gamla Stan’s Stortorget Square, here you’ll learn the history of the Nobel Prize, its founder Alfred Nobel (the man who invented dynamite) and the Nobel laureates. Bistro Nobel is a good spot for lunch (www.nobelmuseum.se). Buy a Stockholm Card (www.visitstockholm.com) and enjoy free admission to 80 museums (including the Vasa Museum) and attractions. Available for 24, 48, 72 or 120 hours, the card also offers unlimited free travel on the subway, buses, commuter trains and trams plus free sightseeing Royal Canal Tour by boat. There are also discounts on the Stockholm Panorama and Open Top Tours sightseeing buses and on island-hopper boat trips within the harbour and archipelago. Make full use of your card and it will quickly pay for itself.